The research of Beijing Orient Agribusiness Consultant Ltd. shows that the annual consumption of rice as daily food by Chinese residents is about over 100 million tons. In 2010, the total rice consumption as daily food reached 93.45 million tons, which accounted for 51.39% of the total grain consumption of Chinese residents and increased by 3.81 percentages compared with that of 2000. The position of rice consumption in the daily food consumption of residents further promoted the improvement of rice processing technique, the rapid enlargement of market capacity and the rapid changes of market structure in this industry. The market share of the small and medium-sized enterprises dropped from 85% in 2000 to less than 20% present, and the output of large-scale rice processing enterprises increased from 15 million tons in 2000 to 82.44 million tons in 2010, with an average annual growth rate of 18.6%. Especially in the recent two years, large-scale companies has kept growing at the annual growth rate of over 30%, and the market value of these companies increased from 2.6 billion Yuan in 2000 to 280.3 billion Yuan in 2010. They growth is ten times that of the original value and the compound annual growth rate reached 26.5%. The large-scale rice processing industry became one of the most rapid-developing industries in China’s agricultural and sideline food processing industry. Especially in the recent two years, COFCO, Yihai and Sinograin also entered China’s rice processing industry, which made the competition in rice processing industry even more fierce, and led to a market situation of “strong-paddy vs. weak-rice” for two years. Many small and medium-sized rice processing enterprises fell into trouble. What is the present competition in the rice processing industry? What is the future development trend? 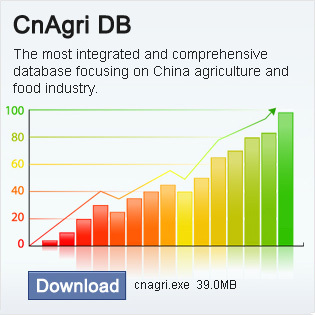 How should China’s rice processing enterprises to cope with the situation? This report makes a survey about the market changes in the domestic rice industry since 2009 and provide answers to the above questions in accordance with the orientation of domestic industry policies, with the hope of providing reference for various industry and commercial enterprises, trade institutions, investment institutions as well as individuals who hope to make successful investment in grain industry in their effective decision-making, and also serve as reference for government policy making institutions, research institutions, international organizations and international institutions relevant to grain and agriculture industry in their research of China’s grain and world grain industry.